How do we go about getting our boats ready for chasing tarpon? This week, we’ll take you through the process, through the lens of Emily and Marie Kondo. Also – Emily has Geography issues, Nate almost dies, and Travis dominates a draft! Here’s a link to buy a shirt and support the show! Wanna join our Cast and Fat Blast Challenge? Click here. Here’s to 2 am alarm clocks and ice on the windshield. 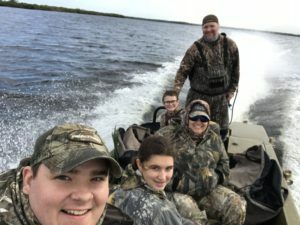 To us not being sure why our hands are shaking – is it the bitter cold, or the monstrous 10 point that just stepped into the clearing. The sound of a wood duck whistling his way unseen through the darkness seconds before shoot time. The rattle of the dog boxes as the pointers bang their tails against the side, desperate to find their next quail. The snap of a twig behind you in the tree stand – Unknown yet full of promise. 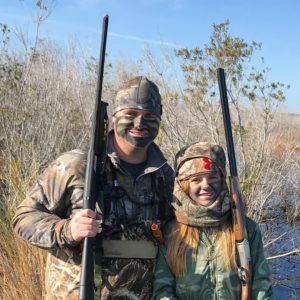 The whistles, of bobwhites and pintails and dog handlers . . . The clucks, of hen mallards and hen turkeys . . .
Here’s to the game we respect and pursue . . . The bucks and drakes and Toms and boars . . . The shots we take, the shots we miss, and, sometimes more importantly, the shots we pass on completely . . .
To the old-timers, here’s to one more fall in the field . . . To savoring the moments with friends and family . . . Hunting the same bend where a long gone retriever made an unbelievable fetch on what was thought to be a long gone mallard . . . Walking the same trails you walked with your grandfather so many years ago, now with a grandson of your own in tow, a legacy and heritage prayerfully safe for another generation . . .
Here’s to the kids . . . 5 year olds and 12 year olds and 20 year olds, bribed with powdered donuts and packs of Twizzlers and the promise of unlimited Mountain Dew . . . That sense of wonder in their normally iPad-glazed eyes as they see the indescribable colors in an Osceola as he steps into the sunshine . . . Their enlightenment to the “edges” of the hunt – the snakes, the palmettos, the birds of prey soaring overhead, memories that will grow and shrink through the years but placeholders nonetheless of a world unplugged . . . Their pride in their first harvest, be it a squirrel or a dove or a deer . . . And to a hope that they’ll think nothing and everything of being standard bearers for a new generation of sportsman, ethical and honest, future evangelists of conservation . . .
Here’s to those gone to soon, but never forgotten, in this chapel lined by pine trees and sun rays trying to burn off a fog, while a chorus of cardinals and chipmunks and cicadas raise their voices in song . . .
Here’s to the hunt . . . To pursuing our game, our way, be it with bow, or gun, or spear, with dogs or decoys or by ambush. To gas station hot dogs and four wheel drives and campfires and more stars than you ever thought possible . . . To pheasants and puddlers, divers and deer . . . To the men and the women and the youngsters . . .
May your straps be heavy, your campfires surrounded by laughter, and your thermos never empty . . . When last we left our band of intrepid podcasters, Travis was being much maligned for his penchant for foul-weather boating. 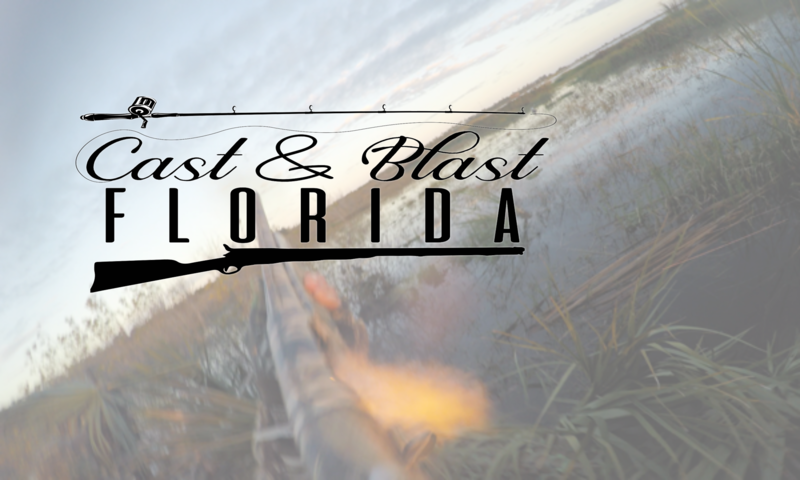 Follow Cast and Blast Florida . . .